The Sew Sweet Sampler has taken off at Sew Sweet Quilt Shop, and as promised, I’m offering lots of free bonuses throughout the program if you’re signed up for the BOM. It’s not too late to get signed up, if you haven’t yet. Block Two just got distributed at yesterday’s get together, and those that are getting mailed are going out on Tuesday. So you’re not too late to the party, if you want in — call the shop at 660.548.3056 and they can get you signed up! Altho you don’t get the bonus projects and idea sheets if you’re not signed up, we are offering one of the bonus projects as a stand-alone pattern-for-purchase that you can get even if you aren’t signed up. And it’s for this quilt right here . . . 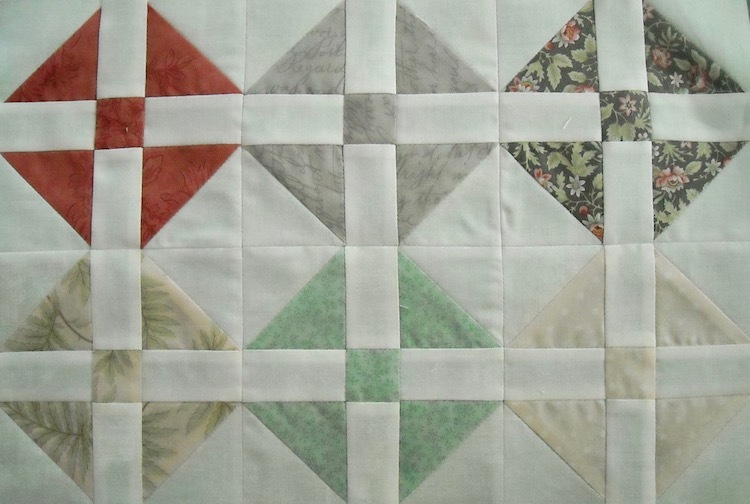 This quilt uses Block 2 from the BOM to make an entire quilt! 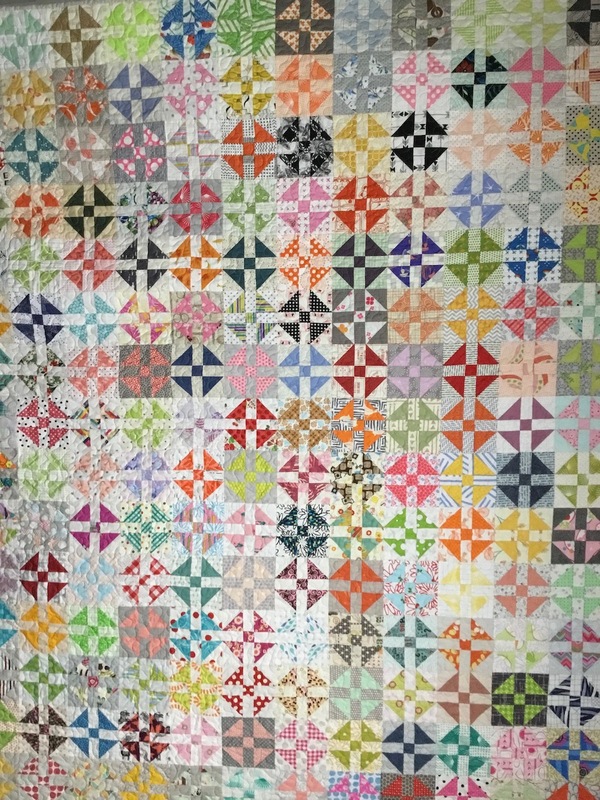 The block is a mini version of the traditional block called “Grandmother’s Choice”, and My Cowboy thinks I’m a mini version of my grandmother, Mildred, so I named my quilt after her! 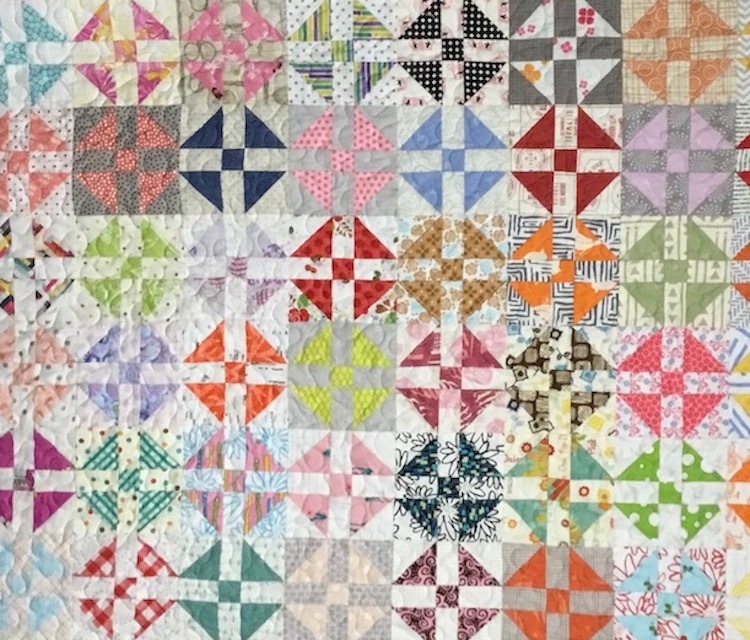 My sample quilt measures 60″ x 75″, but you can easily make it any size you want, larger or smaller, simply by changing the number of blocks you make. I made mine using bright prints for the blocks, and all low-volume prints for the backgrounds. I made 180 blocks, and did not repeat any of my prints (which is a shameful testament to just how much fabric I am actually in possession of!) — so if you want to make yours like this, it’s a great scrap buster. If you have a 7″ square of background and a 7″ square of a bright print, you can make one block. 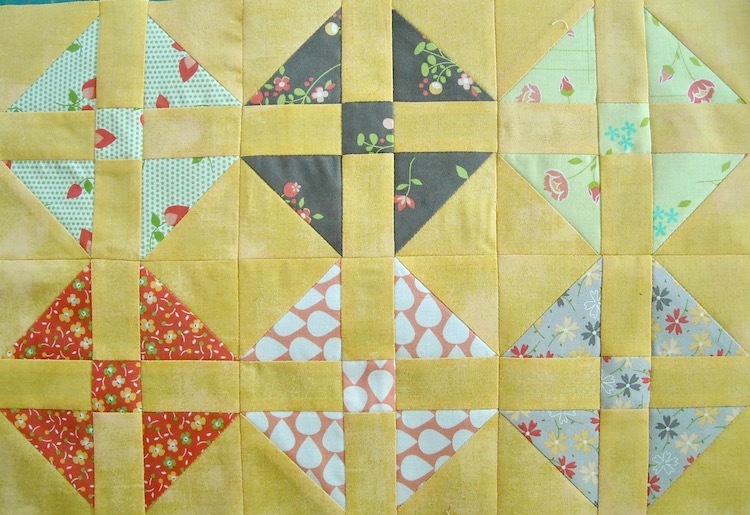 Keep going to make as many blocks as you want, and you can use up a lot of scraps! I usually don’t sign up for emails etc but love your site.